Canucks Head Coach Alain Vigneault took the fall for the Vancouver Canucks' playoff failures the past couple of seasons. Upon being released from his post after seven seasons, the former Canucks' bench boss offered the following statement. "I would like to take this opportunity to thank the Acquilini family, Mike Gillis, Lorne Henning, Laurence Gillman, Victor Debonis, Stan Smyl and the entire, coaching, training and front office staff of the Vancouver Canucks. The past 7 years have been an honour for me to coach and work for a great franchise in a wonderful Canadian city. To work in a city with such passionate and loyal fans is a privilege – I enjoyed every moment of it. I’d like to thank Dave Nonis and Steve Tambellini for the opportunity they provided me 8 years ago. Over the past 7 years I have made many good friends in Vancouver, and had the chance to coach quality players who care deeply about their commitment to winning. I am grateful to the players and their families for the sacrifice and dedication they showed to be the best they could be. I saw many of the players start families, become fathers, and grew as men on and off the ice was equally rewarding. To Rick Bowness and Newell Brown, Rollie Melanson and Darrell Williams I thank you for your tireless effort every day and am grateful for your friendship and dedication, you should all be very proud of your achievements. I am proud of the many things we accomplished as a group in my seven seasons in Vancouver, and only wish we were able to win the Canucks first Stanley Cup. I am a career coach, it is what I love to do, I hope to coach again in this league and I will always have good memories of my time and the fans of Vancouver." 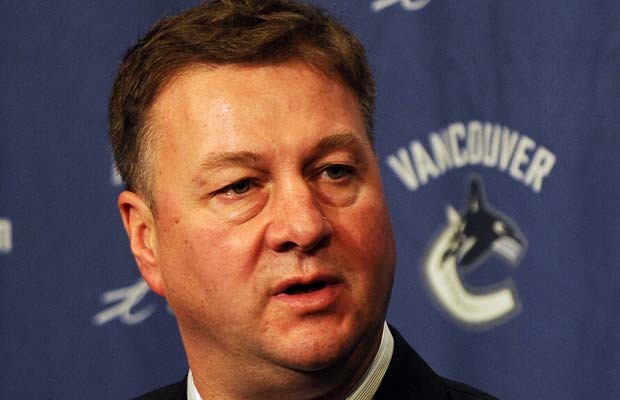 As Canucks GM Mike Gillis prepares to take to the podium for a state of the union address after their most recent post-season debacle, fans and media that follow the team have been speculating about the future of Alain Vigneault, Gillis himself, and the team's core. Here are some not-so-bold predictions of what will be said in just a few hours time. Fans hoping or expecting for Gillis to fire longtime head coach Alain Vigneault will be sorely disappointed. If nothing else, Gillis has proven to be exceptionally patient and stubborn. 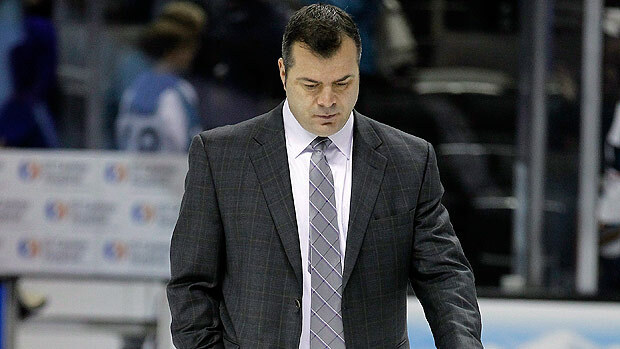 He will not make a knee-jerk reaction and fire Alain Vigneault. Gillis will take "a couple of weeks" to digest the loss and analyze where things went wrong. Gillis will most likely say that the team did not receive an offer of fair value for Roberto and decided to hang onto him. Gillis will say that the goaltending controversy did not hang over the team, and in fact, Roberto's availability came in handy when Schneider succumbed to injury late in the season. Sorry folks, for those of you expecting Gillis to rip the league for its poor and inconsistent officiating, good luck. Too many people that work with the NHL have grown to just accept the sub-standard officiating and Gillis and the Canucks will be advised to do nothing other than take their medicine. Of course, the real question that Mike Gillis must ask himself is whether the team's performance stems from poor coaching decisions from AV, or if Gillis himself inadequately addressed the teams needs. While criticisms of Alain Vigneault stem from his preference of certain players (Andrew Ebbett, Andrew Alberts, Mason Raymond) over others (Keith Ballard, Jordan Schroeder, Cody Hodgson, etc), it could be argued that Gillis failed to provide Vigneault with a third line center, failed to resolve the goaltending issue, and failed to acquire suitable depth forwards and defencemen. Ultimately, there is a disconnect between Vigneault and Gillis. Players such as Keith Ballard - that Gillis paid an arm and a leg for - were not utilized by Vigneault to their fullest extent. That likely means that changes will be coming to the Canucks coaching staff, as the head coach is usually the first to go. The only real question for right now is, does Gillis feel that he equipped Vigneault properly to ice a cup calibre team, or that Vigneault dropped the ball? We will learn that answer soon enough, but do not expect any decisions to be made today.